Hmmm, I generally play it safe I have to admit – but occasionally I do do something stupid and/or dangerous during my normal activities. This generally happens when I’m out bushwalking, though I find myself being more cautious these days. 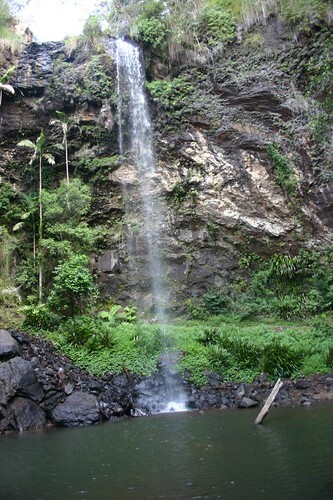 Some of the most dangerous situations I have found myself in while bushwalking have been when trying to ascend/descend waterfalls. I have fallen on several occasions now and on one occasion suffered some injuries that required me to abandon the rest of my walk/climb on that day. On another occasion I fell and landed far too close to what was effectively a spear, right beside by throat. Some falls like these do tend to lead you to more caution in future times. This entry was posted in Bushwalking, Kevin Matthews, Plinky Prompts and tagged abandon, activities, admit, ascend, being, Bushwalking, caution, cautious, climb, close, dangerous, descend, done, during, effectively, fallen, fell, find, Fun, future, generally, happens, injuries, landed, lead, more, most, myself, normal, occasionally, play, Plinky, prompt, required, safe, share, situations, something, spear, stupid, suffered, tend, thing, throat, times, trying, walk, waterfalls. Bookmark the permalink.